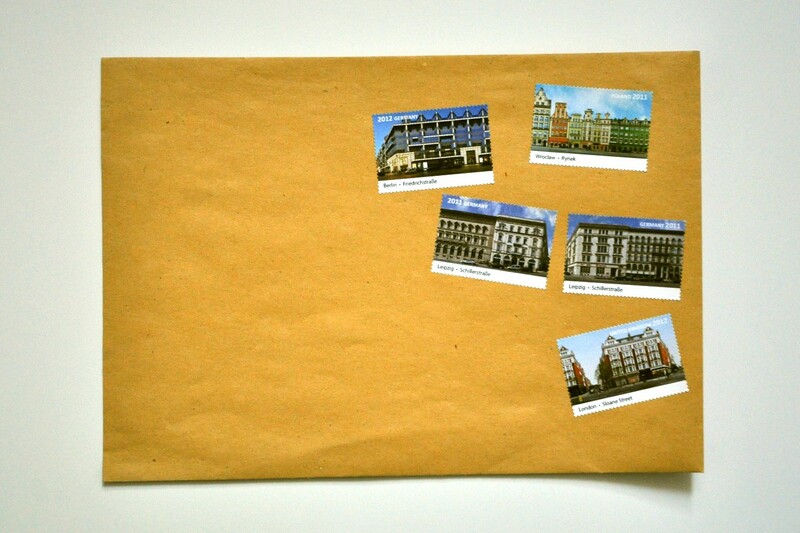 UPDATE: Our recherche results about cities on german stamps for the germany map of the ZEIT magazine. 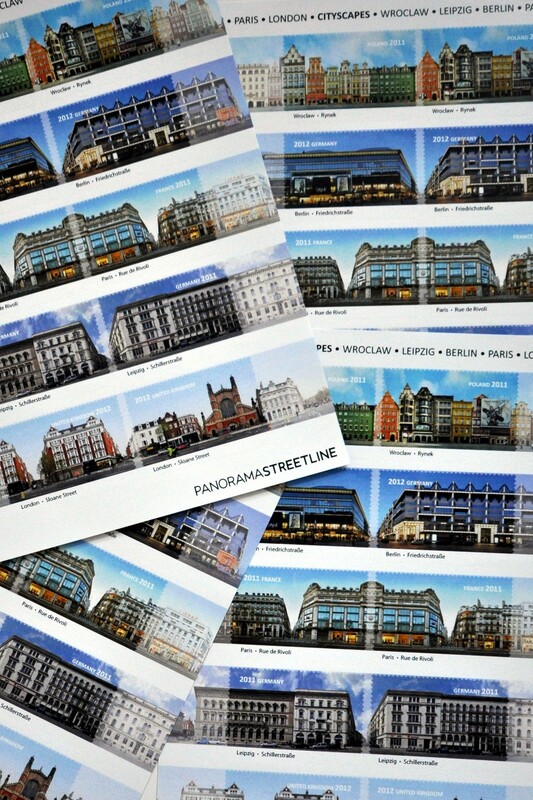 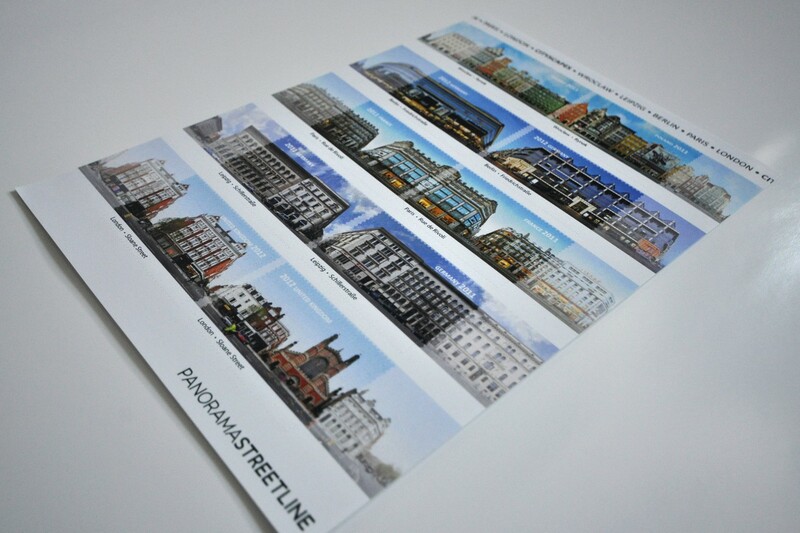 Five Streetline Panoramas combined in one block of decorative stamps. 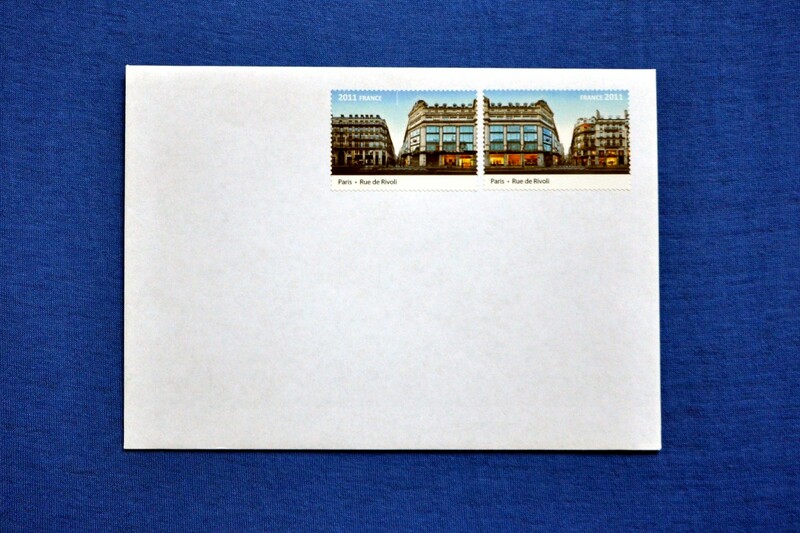 These sticker stamps cannot be used as postage, but for decorative usage. 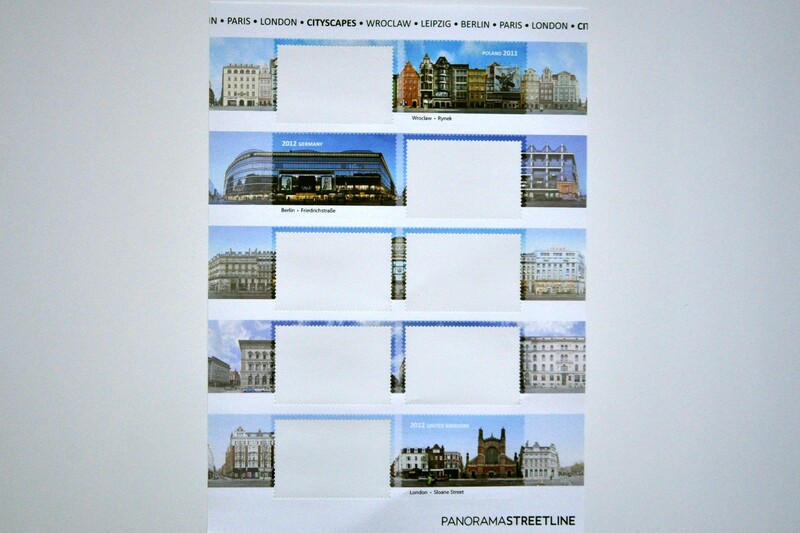 Each of the chosen panoramas is a duo of two stamps that can be used singular or in a combination. 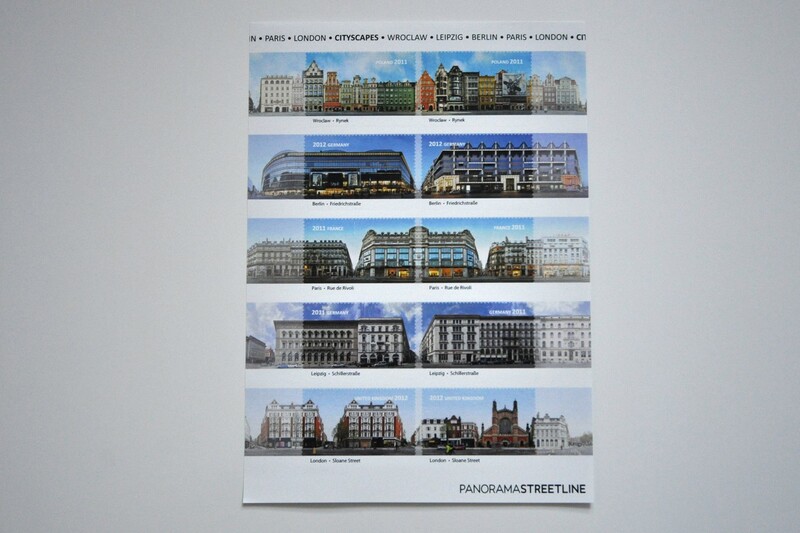 Some copies still available for order at a price of 3,60€ via amazon.